SINGAPORE - A magician was hauled to court on Friday (Jan 27) to face 58 charges of helping 49 claimants get Productivity and Innovation Credit (PIC) cash payouts and bonuses amounting to $1.1 million. This is the biggest case involving an alleged PIC promoter. S. Chandran, 35, owner of consultancy firm Paradize Consultancy, was offered bail of $200,000. He will return to court on Feb 3. Over the past year, the Inland Revenue Authority of Singapore (Iras) has conducted extensive investigations into a number of suspicious PIC claims. Iras' investigations revealed that many of the suspicious claims were linked to Chandran. About 200 people were called up to assist in Iras' investigations. Iras will take enforcement actions against the claimants, where appropriate, once the investigations are completed, it said in a release on Thursday (Jan 26). 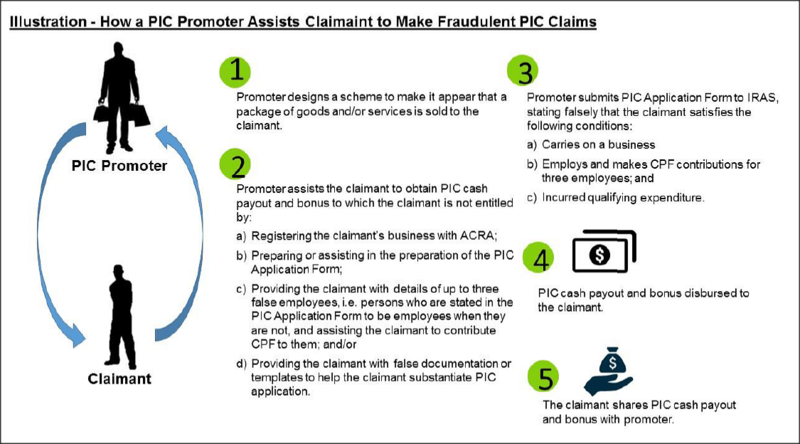 The PIC scheme offers tax deductions or cash payouts to companies that invest in areas such as staff training, information technology or automation equipment to boost their productivity. If convicted, Chandran faces a mandatory penalty of four times the amount of cash payout or PIC bonus. He is also liable to a fine of up to $50,000 and/or a jail term of up to five years per charge.